Silpat® can turn any pan into a non-stick surface. taffy, caramel, or anything your imagination allows. It won’t stick, and it will save you a mess! Silpat® does not need to be greased, saving both time and money. Works for me! The scones slid right off the silpat! Would you like a scone? 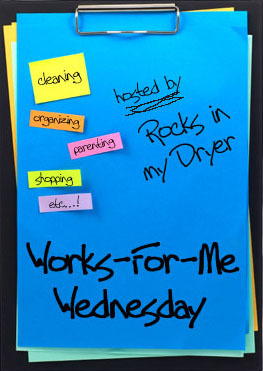 Head on over to Rocks in My Dryer for more Works for Me Wednesday Tips! I’ve never heard of that – I’ll have to see if I can order it online. I bought some of these right before Christmas…just in time to help with all the Christmas cookies, etc. They really are wonderful. Thanks for stopping by my blog. You’re always welcome. I’ve enjoyed my visit here tonight and will return. Kat, don’t know what I would do now without my silpat! You are welcome here anytime! I will also be visiting you as well. Can you use the Silpat to cook things like oven baked french fries tossed in a little oil? I just stumbled upon your site while looking for an image of a Silpat. I am thrilled to hear you love to bake and that you love your Silpat and wanted to let you know Demarle has a whole line of nonstick flexible bakeware products, such as muffin trays, mini tartlet trays, all kinds of cute molds, et cetera. They are available through independent reps, not in retail stores. But if you love the results you are having with the Silpat, I highly recommend checking out the rest of their line. You can view the catalog at http://www.demarleathome.com And if you have any questions, I would be more than happy to answer them!